When you buy in bulk, you save money. 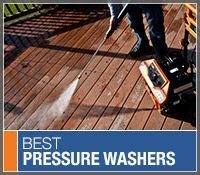 Purchasing from Pressure Washers Direct is no different in that you get an additional discount when you order 5 or more pressure washers to be delivered to one location. Because they're going to the same place, we save on shipping costs. Those savings get passed on to you, providing an added benefit of buying in bulk. If you are interested in purchasing FIVE or more pressure washers, call our Bulk Purchase Hotline at 1 (866) 618-9274 for a special discount. We'll be happy to help you out.